I've been curious about this one. Steampunk meets Sherlock Holmes sounds like the best thing ever. Oooh, steampunk week! I can't wait to see what's coming up. Nice to see you enjoyed this one more than me. I'm wondering what the second will be like–I might be persuaded to give it another chance. Well this sounds like one for my own wish list! I hadn't heard of it before--thanks. This one's already on my to-read list. I love the idea of a Sherlock Holmesy steampunk mix. I hope the next one comes out soon. 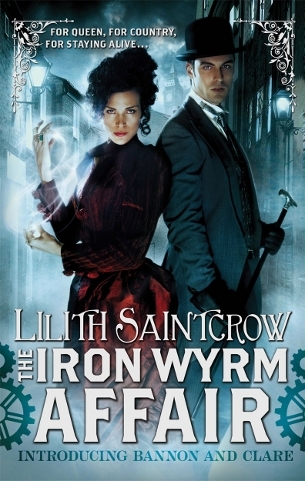 I adored "The Iron Wyrm Affair."